My Typo Humour: Wherefore art thou Romeo, and not Anthony? Wherefore art thou Romeo, and not Anthony? 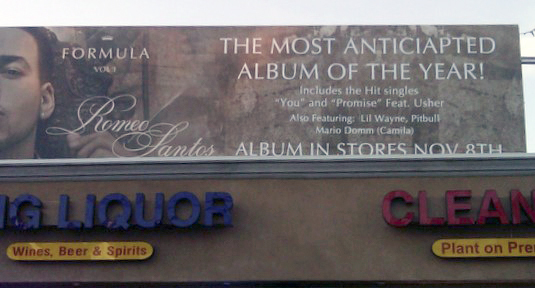 A huge billboard spotted recently in Echo Park, Los Angeles. Shame the typo wasn't anticiapted to the same extent. Just to clarify the headline. The motives of anyone who calls himself Romeo rather than his given name, in my opinion, need questioning. Sadly Google shows there are 124,000 pages containing the word 'anticiapted'. Have people not heard of spell checkres? Wire you contacting me, Paul?